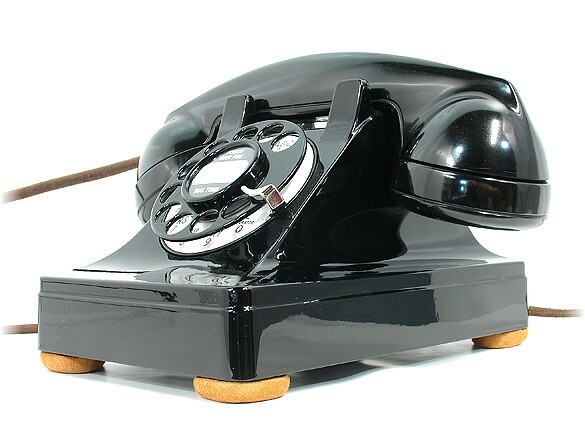 This is your chance to own the very desirable Western Electric model 302 desk-set telephone in beautifully restored, original condition. Works just like it came from the factory in 1942. All you have to do is plug it in and enjoy a step back in time. It rings on your incoming calls and is fully functional for making and receiving calls. Sometimes this telephone is referred to as the "Lucy Phone" because of its constant use on the "I Love Lucy" TV sitcom of the 1950's. This is a popular picture of Lucy holding the 302's F1 handset. 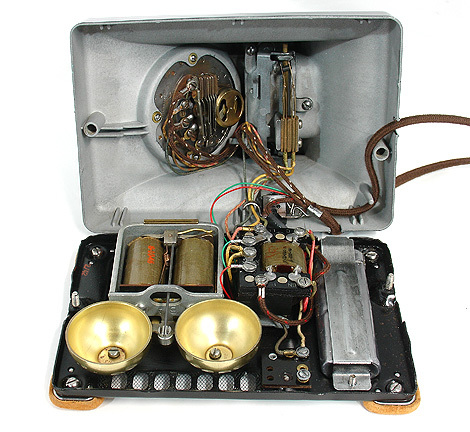 The Western Electric 302 replaced the model 202 in the late 1930's, and became the first Western Electric to feature an internal ringer and voice network. 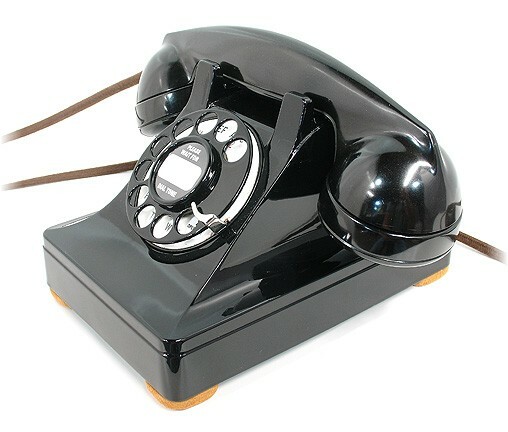 It began with a die cast metal housing (this telephone), and then with the advent of World War II in the early 1940's, the housing was made of thermo-set plastic. 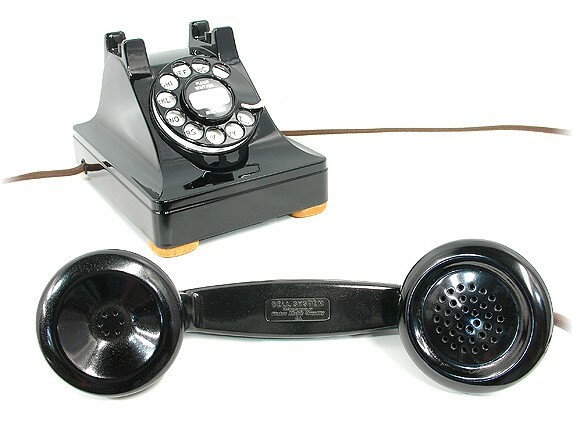 This telephone is all original with the exception of the handset cord and line cord. These cords have been replaced with a brown, cloth covered cord made especially for Western Electric telephone restorations. These cords are a perfect match to the original Western Electric cords. 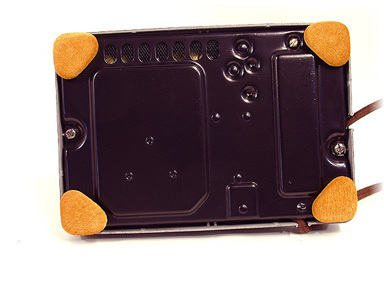 Also the worn out original leather pads had to be replaced. I used a genuine suede leather that looks just like the original and is ready for another 50 years. This telephone has the metal, pre World War II, body. It has been cleaned, bead blasted, and coated with a top grade, gun applied automotive finish. This paint was chosen for its durability and depth of color. 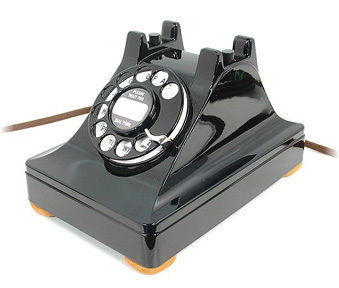 The F1 bakelite handset has been smoothed and machine buffed to a soft luster finish. Condition is everything. You'll be proud to display it and thoroughly enjoy using it. 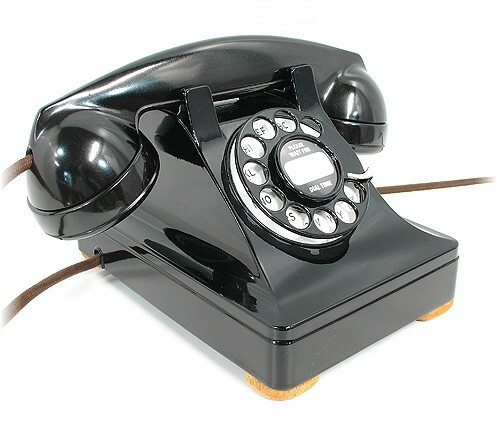 A quality telephone restoration is laborious and very time consuming, but the outcome is well worth it. The closer a set gets to this condition, the more desirable and collectable it becomes. I know, because I am a collector. The twin brass bell ringer produces a marvelous sound from the past. Western Electric made the two bells with slightly different tones (hi-lo) and they actually harmonize when ringing. The brass bells have been polished to produce the maximum pitch. They have also been test-set adjusted. When buying a restored telephone on the net, be skeptical. It the image looks dull, then the telephone finish is probably dull. If the seller doesn't include images of the bottom or inside, then the seller probably doesn't want you to see the bottom or inside. The very desirable 5H dial has been cleaned and lubricated to ensure long and dependable service. 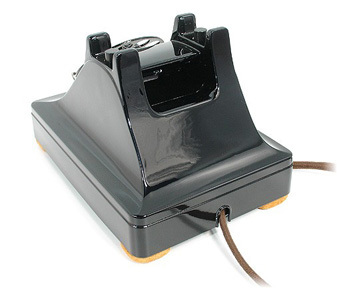 It operates very smoothly and has that mild clicking sound when the dial returns. Pulse timing has been set to WE specs. Original 1943, "Z", porcelain dial face does show wear. Numbers and letters are clear, but show some fading. Nickel plated finger stop has been machine buffed to a brilliant shine. 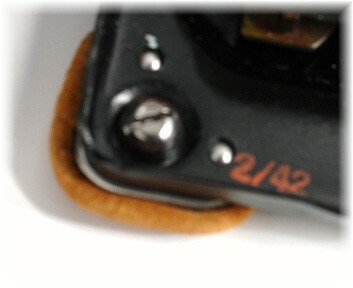 Date stamp has been preserved and the shows manufacturing date of February 1942. 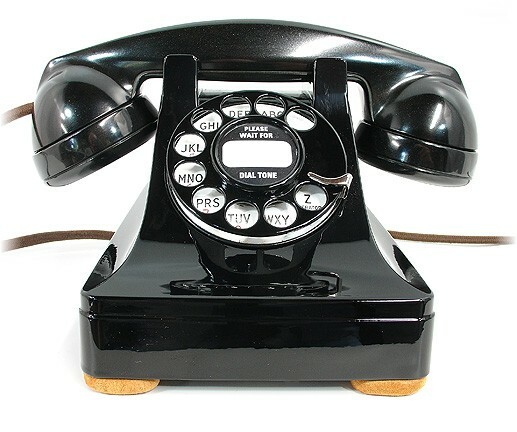 I've been restoring vintage telephones for many years. I am proud of my telephones and I stand behind my work 100%. If you should decide to return this telephone, you need only CONTACT ME within 24 hours of the confirmed delivery receipt, return the telephone in the original packaging and in the original condition within 7 days to receive a prompt refund of the purchase price. Please check my other auctions as I also restore vintage electric fans.